Laser Therapy in Livingston: Seth M. Rossinow, DC utilizes the latest in technology to provide patients with safe & effective alternative health care options. The laser at our clinic allows the doctor to treat patients non-invasively with low level laser light. 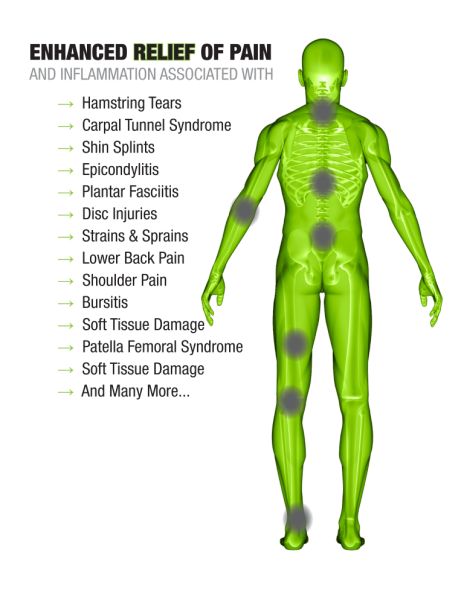 Deep tissue laser therapy applies infrared light to stimulate cells and aid in the healing process. This helps to reduce inflammation, increase healing times and alleviate pain. The laser is placed directly over the injured area for anywhere from 30 seconds to several minutes, dependent upon the severity of the injury. During this time the light that is emitted from the laser passes through the skins layers and reaches the target area. When cells absorb the light energy, it initiates a series of events that eventually results in normalizing the damaged nerves or tissue as well as reduce the pain and inflammation. This accelerates the overall healing process. Neck Pain - Deep Tissue Laser Therapy allows for healing tissue penetration, resulting in fast, efficient and consistent results. Back Pain - Deep Tissue Laser Therapy is surgery and drug free as well as fast acting. Patients can avoid surgery and time associated with post-op healing; manage pain without use of expensive prescription drugs. Elbow Pain - Deep Tissue Laser Therapy treatments are administered in as little as 4 to 10 minutes. Treatments are fast, safe, painless and most patients experience results after only a few sessions. Plantar Fasciitis - Avoid injections and surgery. Choose fast, safe, effective laser therapy.